From Headstart to HLC International Headstart was built up as a nursery and elementary school in 1995 by Mrs. Sudha Mahesh. In the a long time from that point forward, the establishment has developed into HLC International – one of India's best schools, offering quality instruction that shapes the lives of brilliant youthful kids at all review levels. HLC International is additionally one of the primary Ashoka Changemaker schools in the nation. At HLC, we have spearheaded another individualized learning program that underlines ability based learning, and uses an extensive variety of showing strategies – faces off regarding, exchanges, pretend, recreations and displaying systems – all of which draw in youngsters completely in learning by understanding. HLC's history has been one of ceaseless development; in 1995, we started as Headstart Nursery and Primary school. Since that time, we've rethought learning and learning conditions essentially. 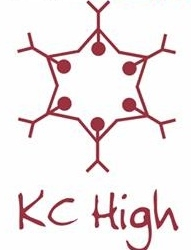 In 2009, we rebranded ourselves as HLC International and migrated to Karanai, close Shollinganallur (off OMR) offering the IGCSE syllabus of Cambridge International Examinations (CIE). What's more, from 2017-18 (this year), we are likewise offering part-private training in Kodaikanal slopes (in Thandikudi) for our High school understudies examining in our Center in Chennai. In this new office, the demonstrated educational qualities of HLC will additionally be upgraded by imaginative plan and condition benevolent foundation in a private setting. Procedure: Admissions are open for class PreKG from Nov 01 2018, for the academic year 2019-20. 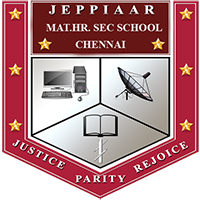 School will start accepting the application forms from 1st November, 2016 still 20th November, 2016 for the academic year 2017-18.